All the employees who joined on or after 1st April 2016 and possess new Universal Account Number (UAN) can apply. The salary of the employees must be less than Rs. 15000 per month. 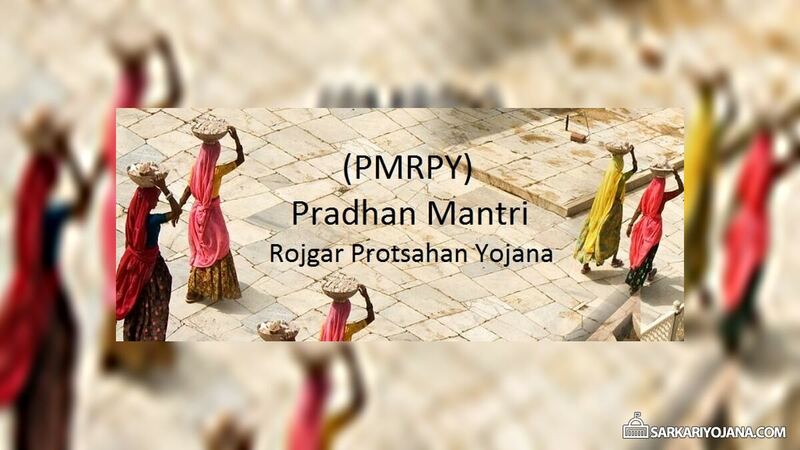 PMRPY Scheme also has a direct benefit that all such workers can access social security benefits of organized sector. Till date, PMRPY has added around 31 lakh beneficiaries to formal employment which involves an expenditure of More than Rs. 500 crore. For apparel, textile and garment sector govt. will now pay full 12% contribution which will get extended for all in the upcoming years. This move will create 1 crore more jobs in unorganized sector. 4th Step – All the textile sector Establishments having NIC Code 1410 and 1430 can avail benefits. For Textile / Garments Sector, govt. will bear 8.33% EPS + 3.67% EPF Contribution for new employment. 5th Step – Visit the official website pmrpy.gov.in and Make Registration at the PMRPY Portal to avail benefits. PMRPY Scheme was launched in August 2016 where central govt. pays 8.33% contribution of Employers to Employees Pension Scheme (EPS). This scheme creates employment in the informal sector and also provide incentive to employers. People can also see PMRPY Manual / User manual. — CCEA approves Credit Guarantee Fund for Education Loans (CGFEL) and Central Sector Interest Subsidy (CSIS) Scheme. Education loan guarantee scheme and education loan interest subsidy scheme will provide education loans to students without any guarantee and full interest subsidy. — CCEA meeting chaired by PM Modi has approved the launch of Integrated Scheme for School Education. All the existing education schemes of central government like Sarva Shiksha Abhiyan (SSA), Rashtriya Madhyamik Shiksha Abhiyan (RMSA) and Teacher Education (TE) will get merged into single scheme. This scheme will continue from 1 April 2018 to 31 March 2020 with total estimated outlay of Rs. 75,000 crore (20% over current allocation). Sarkar or sarkar ke hone walo kamo se aam aadmi ko na koi labha mila na hi mill raha hai or praivet karmchariyo ka to sirf or sirf soshad ho raha hai khas kar apne Madhya pradesh ke cement planto me na koi sarkar dekh rahi na sun rahi garib din par din sirf pista ja raha hai na koi dekhne wala na hi sunne wala or sarkar ke bade bade bato se kise ka na ghar chalta na hi pet palta sab paresan ho chuke hai jo majdur din bhar kaam karte hai unki manth ke salary matra 8000 se 10000 manthly aaisa kiu na koi apne bacho ka etne me palanposhan kar sakta na Kha sakta na kuch bacha sakta bas ghut ghut ke jeee sakta hai to ab hame bataye sarkar ye kaisa ensaff hai jaha sarkari nokari wale chaprasi ke salary 20 se 30 hajar manth hai or parivet ka ye haal sarkar aakhir kar Kya rahi hai so rahi hai ya jaag rahi ya jaag ke be so hai hai dekhte huye be kuch nai dikh raha.bas Etna hi kahna tha ab jo be ye msg.padhe use dhanywad or esme aamal kare sarkar to theek na kare to jaise loog chal rahe hai wayse hi chalenge bas sarkar aati jati rahegi gareedo ki badduaa hamesa lagti rahegi. Yh yojna 8pass house wife ke liye h kya?